The economical heating of the greenhouses by electricity. Theplantsinthegreenhousesinacoldseasonobligatoryneedanadditionalsourceofheating. 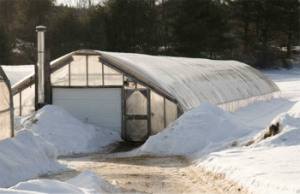 For reaping a harvest all the year round, it’s necessary to take care about, how to heat the greenhouse in a such way that would be possible constantly to control temperature regime, doesn’t spend the huge sums for supporting of such heating system and doesn’t worry about the safety and fruitfulness of the plants. On the forums among the variety of advices of the farmers and gardeners, what ways of heating of the greenhouses are the most effective and economic, especially selected the heating of the greenhouse with the electricity. Among the so called electrical source of heating it’s possible to select the convectors and convectional systems, heaters, underground cables, heat pumps and ceiling infrared heaters. All this absolute can be used for heating of the greenhouses with the electricity, however it’s should to consider the aspects of every methods and select individually under the parameters (size, material) of your greenhouse. 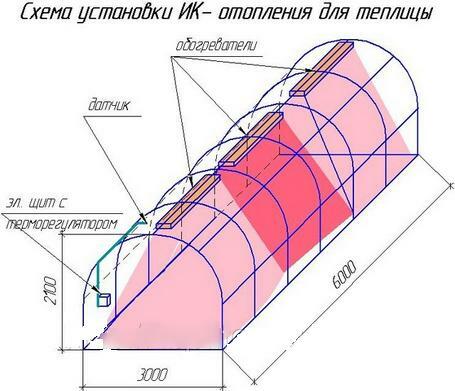 The heating of the greenhouses by electricity with the help of convectional systems – is rather simple decision in the plan of installation, however has a row of considerable disadvantages. So at using of convectional equipment in the greenhouse are created the heat air flows, which are circulate rather equal, however practically don’t heat the ground. The easiness of the equipments also doesn’t allow to create “clever” system, for clear control and zonal to install temperature regime, which provides the heating of the greenhouse by the electricity. The heaters in comparison with the convectors are more compact and “supple” but work at the same principle. Fixed thermo regulators allow to settle unique microclimate for plants, but it worth to note that the using of the heaters lead to strong dryer of the air, that can negatively affected at this level of humidity in the greenhouse. Ifyouwanttopaymoreattentiontotheheatingofsoil, it’spossibletoorganizetheheating of the greenhousesbymeansoflayingatdefinitedepthofcableandtape, whichwillreturntheheatdirectinground. 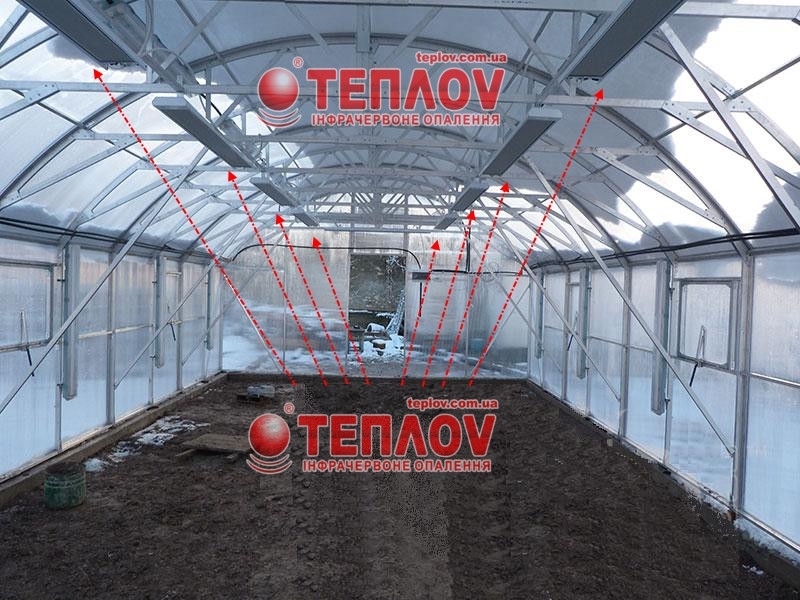 The heating of the greenhouses in winter with the help of this method will be effective, however it will require big costs for buying of the equipment and also extreme care and accuracy in calculations. Indeed in this case the heating of the greenhouses by electricity can to overheat the ground and do harm to the plant’s roots and quickly to find out and to remove such dangerous is rather complicated, because the system is situated under ground. In the case of ground changing it’s also should be extremely careful for not to harm the cables. For the heating of greenhouses by electricity quickly and effective at any phase of the work (planting, growth of seedlings and so on) it’s possible to install the infrared heating. Such system of heating got numerous positive recalls due to its high effectiveness at the shortening of expenses to the electricity at 40-70%. The heating of the greenhouses in winter with a help of the infrared heaters has a row of pluses. So, the humidity of the air and the plants nothing threaten, because the infrared rays don’t lead to the drying up of the air and are absolutely safe for living organisms. The infrared heating of the greenhouses by electricity has high efficiency – 95% and provides full usage of the expended energy at the heating. The unique principle of the work of the infrared heating allows heating the greenhouse fully and creating separate microclimates at all area. To this takes priority the installation of infrared heaters and connection to them separate thermo regulators, which are regulate the temperature and instantly react at the changing of the planned temperature regime. The heating of the greenhouses by electricity, and exactly by infrared heaters, is differ with a fast installation and dismantling in a case of dismantlement of the greenhouse (then infrared heaters can be used for heating of the domestic premises), and service of the equipments doesn’t need much time, because thermo regulators allow to establish the system “clever house” up to installation of different daily and nightly temperature regime. In difference from infrared heating, the other ways of heating of the greenhouses heat the air, infrared heaters radiates the waves which are absorbed by all surfaces and subjects directly, that at 30-40% increase the effectiveness of heating. The infrared system of ceiling heaters is possible to add by the infrared strip, which are laid in the soil as the cables.